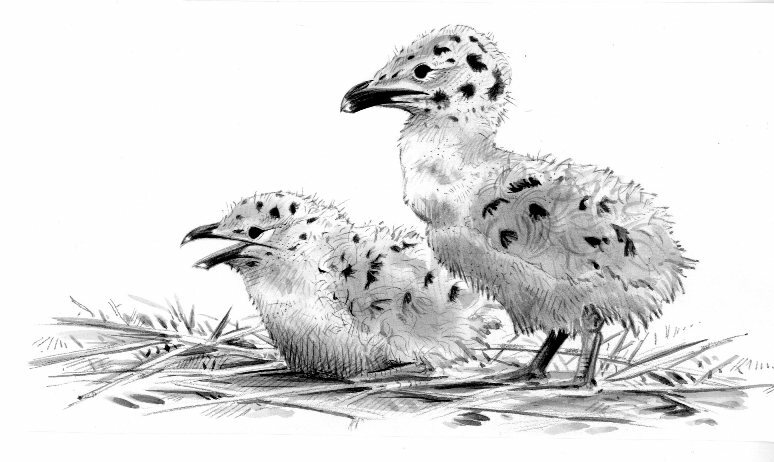 I was asked to produce a header drawing for YORKSHIRE BIRDING magazine which I contribute to on a regular basis, it was for an article in relation to breeding Great Black backed Gulls. 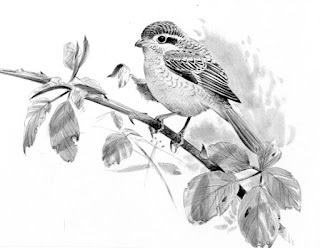 I wanted to do something different other than showing the adults so I decided to draw the chicks, something I had not done before. 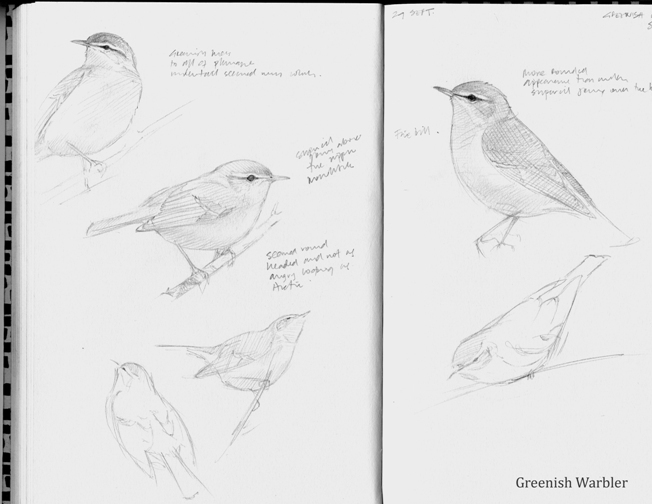 I've finally managed to get myself organised and re design my blog and in the near future, pre Christmas hopefully, overhaul my website with new work and simplification. Its been a very busy period over the last few months but I did have plenty of time to get some birding in and a few visits to Spurn, a lot less than normal but hope to rectify that next year. 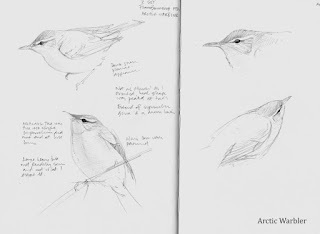 The blog will now contain more field sketches with finished work going onto the website periodically but the odd finished painting / drawing will also be on the blog. The first for the new period is one of the illustrations that's just been published in the Isles of Scilly Nature Review of a WOODCHAT SHRIKE. 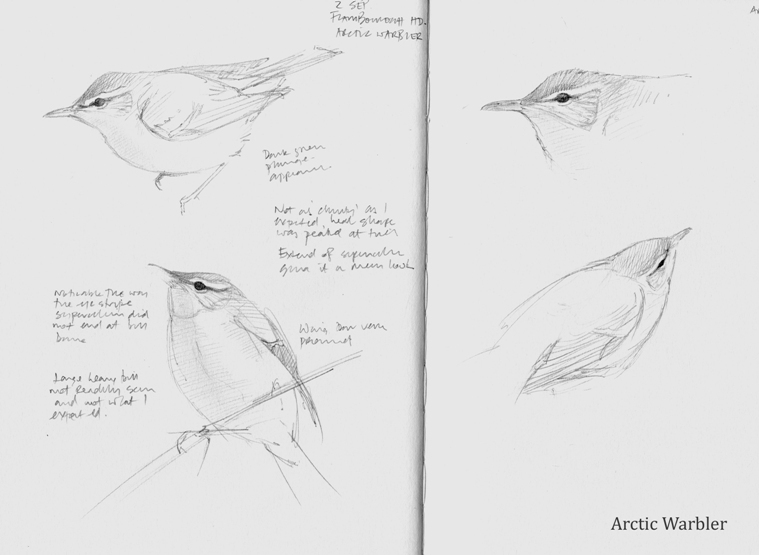 I've also uploaded some sketches I did of ARCTIC WARBLER and GREENISH WARBLER observed this Autumn on the east coast, it was great to study these two species within weeks of each other.